After spending two days at a workshop with Dr. Lester Fehmi learning how to relax and broaden my attentional capacity, I had a startling experience with my eyesight. I was lying in bed in my darkened hotel room listening to tunes on my laptop. It was time to change the selection, so I turned on the light, sat up and looked at the screen without putting on my eyeglasses. The letters were blurry but then they came into focus as if I used a pair of binoculars! This had never happened before. The following day I mentioned my experience to Fehmi, originator of the Open Focus method of attentional training. 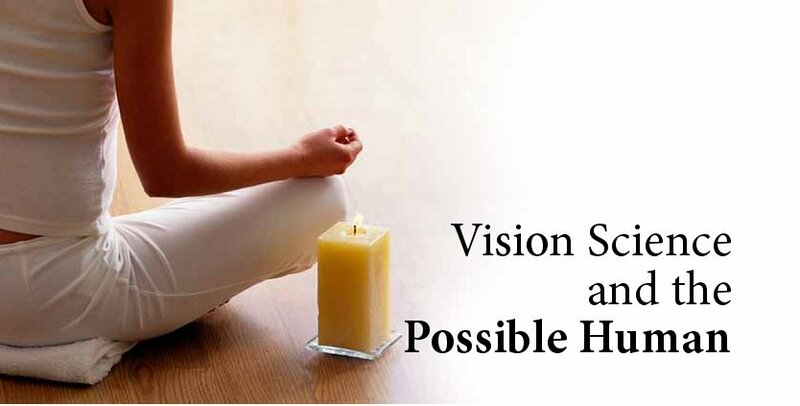 While his training system has nothing to do with vision training, per se, he said other system users have also experienced significant vision improvement. Open Focus trains the brain to broaden awareness or focus by fostering increased alpha wave synchrony across the lobes of the brain. This gives rise to an experience of being relaxed yet alert. This article is not about Open Focus (you can learn more about it at: www.openfocus.com) but about the possibility of improving vision via unconventional means. It was inspired by Sight and Sensibility: The Ecophyschology of Perception by Laura Sewall, Ph.D. It is a truism that the scientific method is based on observation, experimentation and repeated verification of results. It is also true that scientists are wrong much of the time, that they have persisted in beliefs that belie the facts before them (e.g. the belief that the brain cannot reorganize itself – plasticity – in response to experience), and that they are often not open to exploring the unexplainable, unexpected and unusual. Like people in other walks of life, scientists are sometimes more interested in maintaining the status quo than in discovering the full range of the possible. One aspect of the Bates theory is that the eye needs to learn to relax and not pull objects to it, instead focusing both far and near, alternately, by performing specific exercises. Some of Bates’ theories have been disproven, but what if this pioneer was actually on to something? Later, Sewall traveled to Tanzania to study baboons in their natural habitat. There, she was further awakened to the possibilities inherent in the human visual system. She was amazed that her research partner, a Tanzanian scientist with years of experience on the savanna, could identify individual baboons from amongst three troops of 120, half a mile away. The above theory and Sewall’s personal experience fit well with both Bates’ concept of the need for the eye to relax and stop reaching for objects, and Fehmi’s theories about why Open Focus (which is actually a type of meditation practice) might have been so effective in at least temporarily improving my eyesight on that one occasion. Could it be that when we let go, broaden our focus and let the mind quiet, the brain can do the job of helping our eyes see more easily? Is it possible that with training, we can become better at this and experience revived and enhanced sensory experience on many levels, not just vision? We know that Bates was not right about everything (a future article will explain his contributions to science and his errors). But isn’t it wonderful that he dared to pay attention to the actual experience of his patients and to try new methods to help them see better? Isn’t it marvelous thatLaura Sewall has the personal confidence and intellect to pay attention to her own experience, honour it and let others know more about what our potential might be? Our world is improved by those who challenge the status quo by paying attention to the world around them, as it is, unencumbered by the visual and metaphorical cloud of received wisdom.